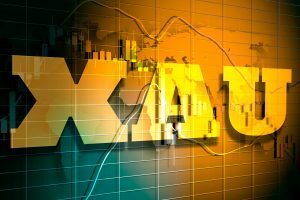 Gold was flat on Thursday as comments from the White House on the US-China trade deal steered investors to the US dollar. The stronger dollar put pressure on the yellow metal as safe havens rose. Gold will continue to be in demand as geopolitical risk remains high but for now it was overpowered by the greenback. In the US two important deadlines are in the horizon. The Democrats and President Trump need to reach an agreement ahead of February 15 to avoid another government shutdown. March 1 could mark the start of new US tariffs against China if a deal between the two biggest economies is not struck in time. The Fed turned dovish in January, but a strong employment report could put the central bank back on track sooner rather than later putting pressure on gold. The U.S. Federal Reserve lifted interest rates four times in 2018 and until mid-December was expected to hike twice in 2019. The same way forecasts were quickly adjusted after the market sell-off could be switched back if fundamentals validate the Fed to reassume its monetary policy tightening.